This past August marked our 30th year in business and it has given me the opportunity to reflect on the constant change it has been. When I started the wholesale business, it was strictly a West Coast distribution of only accessories. About seven years into it, I took on a major expansion to develop additional streams of distribution and product line. I participate in my first New York wholesale show with my West Coast sales representative, and jumped into the crafts market as well. I also began to exhibit at national juried craft shows and this gave me a connection to the customer I previously did not have. I know it made me a better designer and craftsperson. The feedback I received from them led me to add a full clothing line. I have worked not only in my own handwoven fabrics, but produced lines in organic cotton, wool crepe, merino wool, novelty silks, and even stretch vinyl. Our volume grew to 1000 garments and 1000 scarves per year. I’ve been blessed with great mentors and have tried to be one myself. So many skilled craftspeople have contributed to the company, many for 10 years or more. Working as a team has given me a deep satisfaction. To work with beautiful materials in this ancient craft, to not only sell to stores but to operate one myself, and to see my work hang in museums, galleries, boutiques and departments stores…well, I never expected it. I have been riding a wave that has moved me in many directions, simultaneously trying to stay open and committed completely. I truly am grateful to have done this work. Fulfilling a need with good design is the craftsperson mission and has been a joy to do. The partnership with customers and co-workers has been rich and rewarding as well. This spring, I was fortunate to travel through Turkey for a month and see their vast variety of textiles, from traditional to contemporary. The antique kilims of Anatolia are world renowned, and Turkey is home to one of the largest textile infrastructures in the world. However, it was in the countryside that I found the most surprises. The rural areas of the country are traditional in their farming practices. Much of the countryside is living what we would consider a permaculture lifestyle. The results of these practices are rich, cohesive communities of abounding farmland and pastures of healthy livestock. 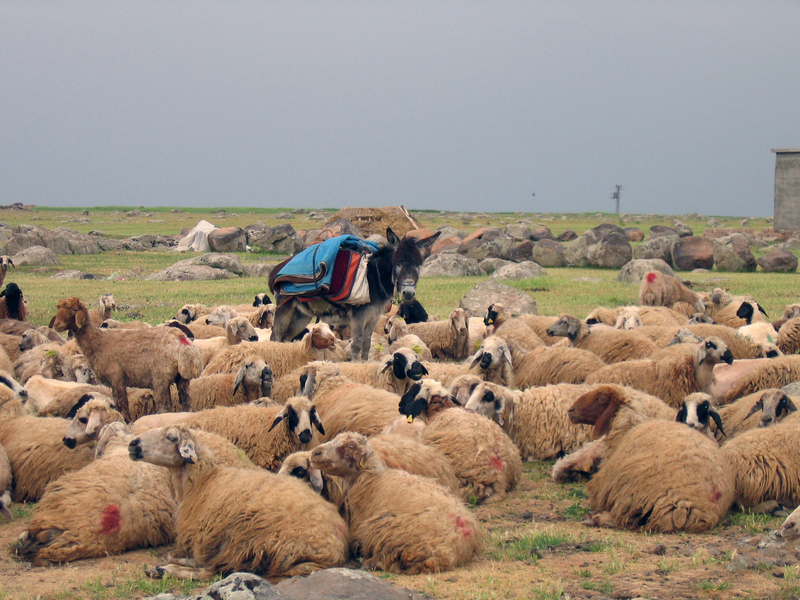 Shepherding still plays a very valuable part within the Turkish culture, and these duties are shared by family and community members. Sheep are identified by colored spray paint to the rear and all animals are commingled. 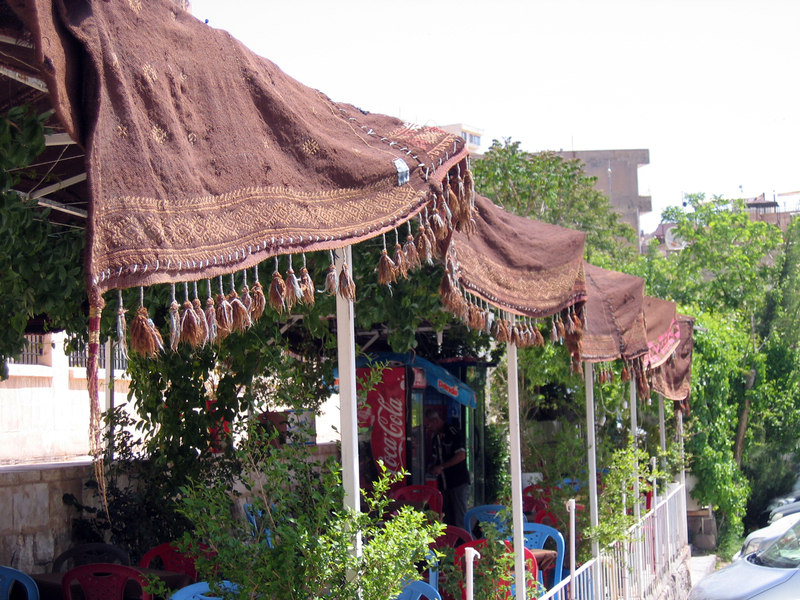 However it was in the predominately Kurdish, far east region which was my favorite part of the country. Many still live nomadically, seeking pasture for their goats. These animals provide a deep brown-black fiber which is handspun into yarn. This yarn is then handwoven into a water resistant tent material under which they live. Fortunately, I had an opportunity to see it displayed at the museum in Mardin, being used in a non-traditional way, but providing an opportunity to photograph this beautiful, and practical, textile tradition. At the end of the trip, we returned to Istanbul and explored some of the less tourist-trafficked neighborhoods. What a surprise to find the Bay Area phenomenon, the Knit Bomb! 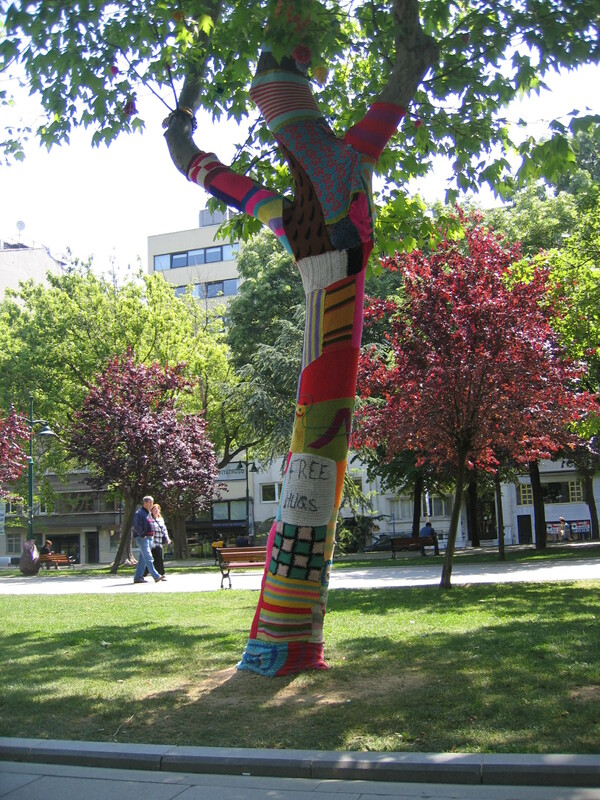 This wild way to cover an object in a public space with knitting and crochet is always a delight to find. This was the biggest and most impressive I have seen anywhere, and I think you will agree. Now that your organization is established, you are ready to begin to purge. Before continuing with the next five steps, make sure to bring out every single item you have, one by one. 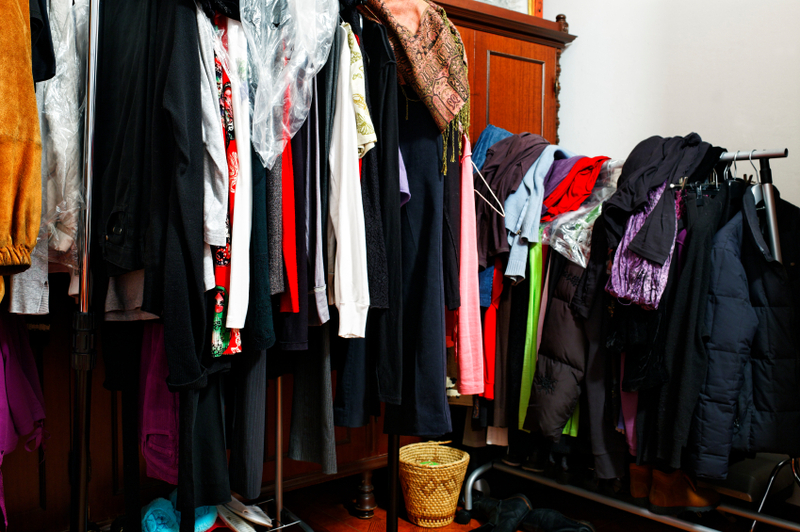 Set aside any items you have not worn in a year, no longer fits, or is worn out. Be ruthless!! And remember, once these reject items are gone, you will never think of them again. Now that your organization is established, you are ready to being the purge. Identify three main categories of clothing you need in your life. For example, I need clothing to work in my store; casual wear for the weekend, which I can also wear to my studio; and recreational gear for hiking, biking and yoga. 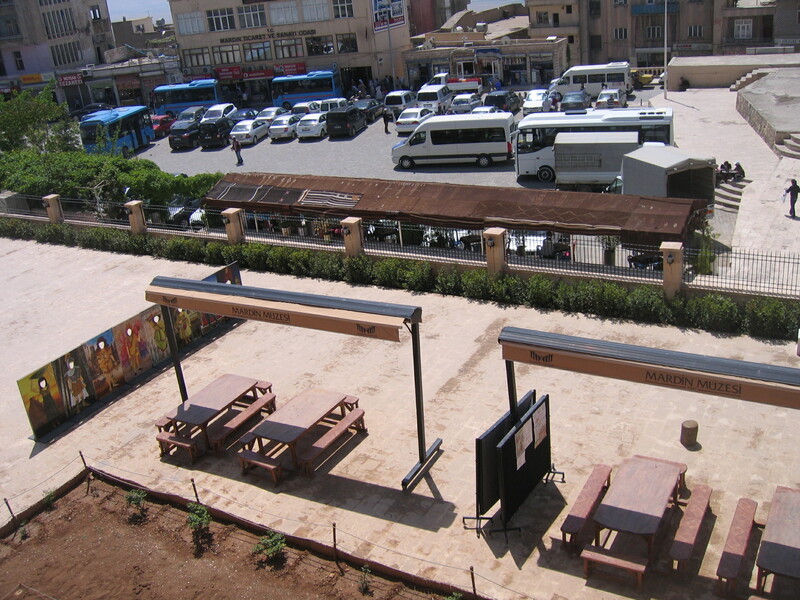 There are two additional categories we all have which are travel and special occasion. For you, special occasion can mean anything from work events to Halloween. Whatever it is, remember, it’s your needs that are being met. Separate your clothing into these three main categories, as well as your special occasion category. Starting with the largest category, begin to separate these items into garment types: skirts, dresses, tops, sweaters, pants, etc. Have a paper and pen handy. Not the items you wear the most and what are your favorites. These items have served you and have a high value. In addition, note which items get more use than others. For example, do the a-line cut skirts have more rotation than the straight skirts? Now, organize by color. Once this is done, then ask yourself, do these items have suitable pairing? The answer will help you glean further and add to your shopping list. Proceed to the other categories, bringing crossover items into consideration. In fact, if you are a good shopper, there will be many dual use items. This adds versatility to your wardrobe. This is the element that can bring the categories together into a whole, and should constitute approximately 25% of your closet. Basics alone do not make a wardrobe. You must have those key pieces make it cohesive. For example, I have an attractive and comfortable group of yoga pants and tees, but I still detest going out in workout clothing. To solve my problem, I have a couple of great looking long sweaters which I can slip on with my boots and feel street worthy on my way to the gym. If you find you need more key items such as these, add them to your shopping list. Give your boots, shoes, scarves, gloves, hats, jewelry, and your accessories the once over. Line them up so you can see how they work together with your clothing. Edit out those that are worn, do not work, or are in need of repair. Again, note your needs. At this point, you will have notes that will help you formulate a list of items you need. Keep this handy when you shop. 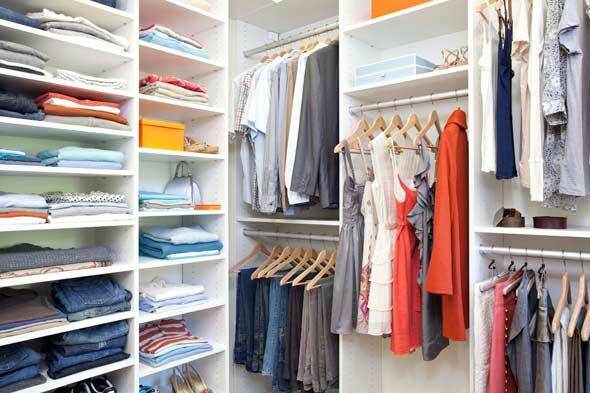 Remember building a wardrobe that works for you take time. You won’t be able to acquire everything you need at once. But, over time, you will develop a system that will save you time and money, not to mention getting you looking better than ever! Now that we are well into the New Year and on the verge of spring, many of us have thought about our clothing needs and purging out our closets. This necessary ritual is crucial to one’s personal organization, but how many of us find ourselves ignoring the call? Because really, just where does one start? We offer closet purging services at Susan Hayes Handwovens, therefore, I have faced many closets and have developed an easy strategy to tackle this common problem. In the first part of this two part entry, I will guide you through 5 steps in mapping out a game plan. The first and foremost thing one must do when cleaning out a closet, is try to find some equipment to help you with the task. Securing additional clothing racks and a full-length mirror helps you to not only accurately see what you have, but also what it looks like on you. Gather some additional hangers, laundry baskets, boxes and bags to aid your sorting. Make sure that you have a clean and spacious work area before beginning. Use your bed and floor to spread out folded items. It is imperative you have enough room. Additionally, make sure you have good lighting to be able to fully see the condition of the items. It is invaluable to have a second set of eyes, so I highly recommend buddying up with a friend for this project. Allot an afternoon for each person to complete the task at hand. Having another unique perspective helps when taking in all in. Playing dress up and putting items together in new ways helps you to realize all you have before you and helps you to start feeling good about the way you look today. Before you even start, figure out an exit strategy for the items you are purging. For those nicer items you have that still hold some monetary value, find a resale shop you can consign them to. If looking for a more charitable route, consider your local non-profit organizations. In my area of Point Reyes Station, I like to donate to the West Marin Thrift Store. Or, donate to your local Salvation Army or Goodwill Industries. Make sure you designate an area for items that need repair or cleaning (this included accessories, shoes and jewelry). Once you are finished, these items will be separated out and can be bagged up and dealt with immediately. Knowing a good dry cleaner, alteration shop, jewelry repair is crucial. Now that these five steps have been identified and handled, you can move onto the fun part! In Part Two, I will not only help you purge your closet, but help you to focus on how to rebuild your space by identifying categories, and how to put your closet back together. Again, if all this feels like too much for you to tackle, we offer our customers closet purging services at a very reasonable rate. 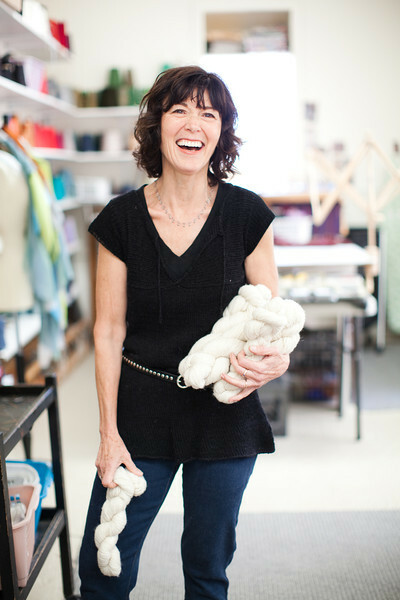 Contact us at 415.663.8057 or email susan@susanhayeshandwovens.com. GOOD LUCK! Due to environmental concerns and technological changes, there are many new fibers in the market. Frequently, I am asked how these fibers are produced and which of these fibers are really green? The most frequent question, however, is what is modal? Lenzing Modal is a fiber manufactured from Beech wood harvested in Austria and in neighboring countries. These forests are managed in compliance with sustainable forestry legislation. The Beech wood tree is said to improve the earth as it is a deep-rooted plan that conditions the soil and is self-propagating. There is no need for reforestation or replanting. These forests grow on marginal land and yield a high cellulose harvest, without the use of irrigation, fertilizer or pesticides. 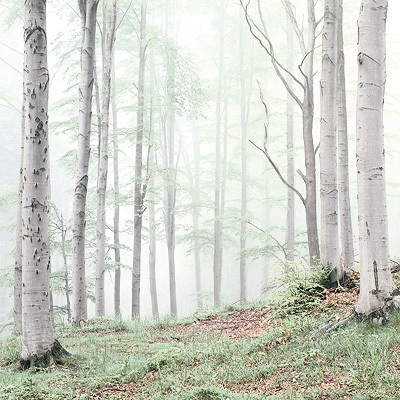 Lenzing processes the wood into usable pulp employing an innovative eco-friendly chemical process derived from oxygen. The fiber is processed using a dry technology, eliminating the high water use associated with fiber production. These processes actually generate energy rather than consume it. This surplus energy is then used to spin the yarn, creating a true closed loop system of manufacturing. 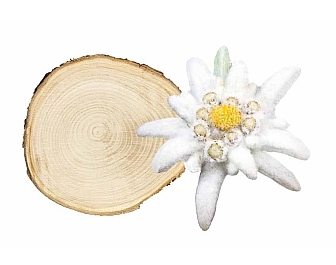 This “Edelweiss Technology” developed by the Lenzing Company, sets the technological and environmental standard in the cellulose fiber world: truly an accomplishment of carbon neutrality, low land use, and replenishable resources. The result is a fabric that is soft, drapey and possesses a brilliant color. If you haven’t experienced this beautiful, comfortable, well-wearing fabric, make sure you look for these items next time you are in the store. 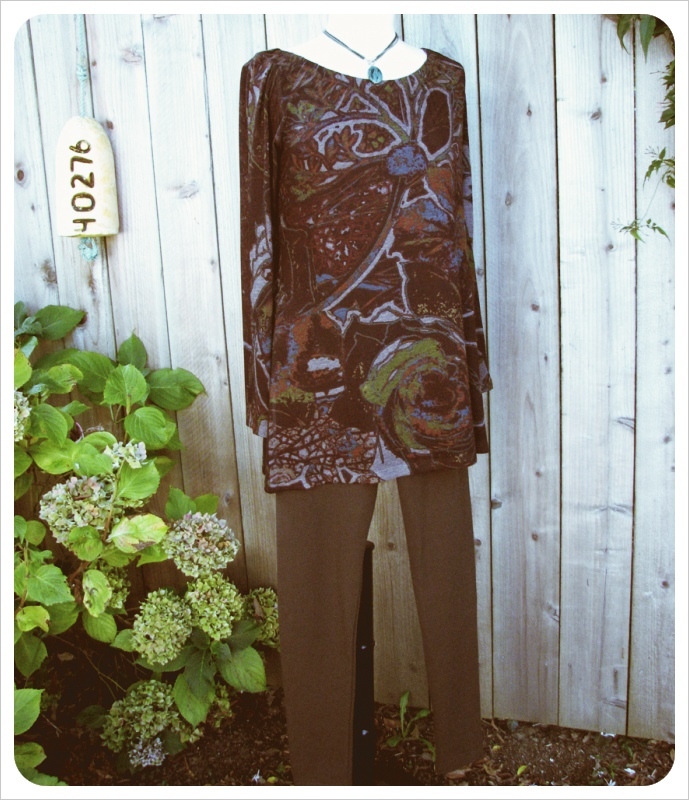 Designers we carry that work with this fabric are COMFY, NALLIE AND MILLIE and NECESSITEES. Also, look for the Lenzing Modal tag which is usually attached to these garments. Susan Hayes Handwovens is excited to offer items from the design house of NALLIE & MILLIE, which just received the Moss Adams Fashion Innovator Award (MAFI) as part of Style Fashion Week in Los Angeles. Launched in 2003, the MAFI award recognizes a California company “that has, in the past 12 months, significantly impacted the national marketplace by exemplifying creativity and innovation through unique and compelling designs, manufacturing, and/or marketing. Check out our selection of NALLIE & MILLIE solid or printed tops and sweaters, reversible dresses and skirts, and some of the best leggings around at our store. (Information and quotes taken from the article “Nallie & Millie Moves Into New 42,000-Square-Foot Facility”, featured in the Oct. 21 – 27th issue of California Apparel News. Written by Carol A. Crotta).